First thing’s first — let’s kick things off on the right (read: honest) foot. In the spirit of full transparency, I need to say type that I’m totally freaked out to start a blog. As a result, I’m currently accompanied by a large-to-quite-large glass of impossibly delicious Malbec wine. Liquid confidence kind of rocks! 1) My name is Samantha. Sam for short. I’m 28 years old, a new mommy, and currently employed at this ah-mazing little company called Google. Yep, I hyperlinked it. I would tell you my title, but I’d be willing to bet it confuses even my fellow Googlers — so let’s just call it ‘product strategy’ and carry on. My team at work is a tight-knit (and baller-status) family and I’m thankful for that every day. I’d be remiss not to mention that I have quite a few hopes and dreams beyond the wonderful world of tech (more on that later) — but, to be frank, I’ve always struggled to bring those to fruition amidst the crazy pace of life-as-I-know-it. Thankfully, the recent arrival of our son (more on that little nugget later, too) has been a much-needed catalyst to recalibrate and muster up some courage to finally take some steps in the right direction. Cliff. Hanger. 2) My husband’s name is also Sam(uel). We don’t technically go by Sam Squared, but feel free to call us that anyway. Girl Sam and Boy Sam also works. I’ll go ahead and blurt out now that we’re highschool sweethearts. Tis true! The dude is the undeniable love of my life. 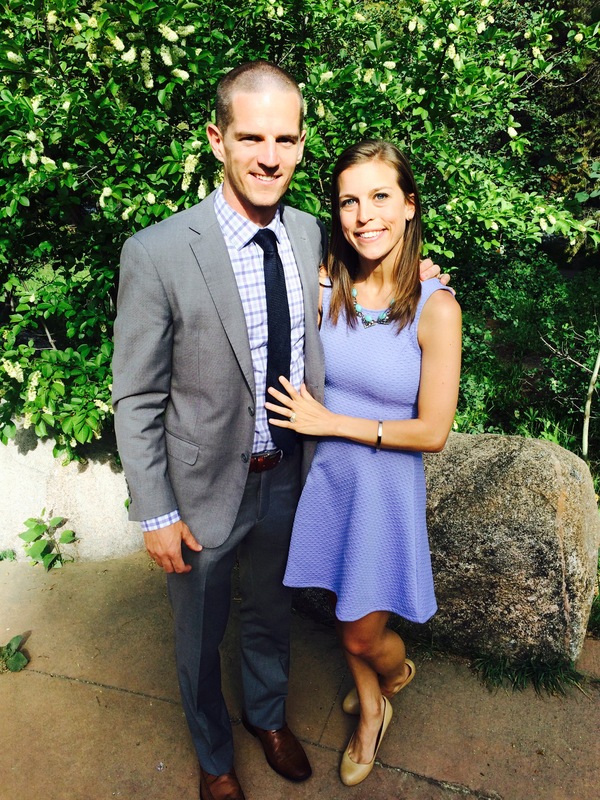 This is us mere moments before taking total ownership of the D-Floor at a friend’s wedding up in Vail. I may or may not have excessively requested “Call Me Maybe.” Love ya, Carly Rae. 3) Last November, boy Sam and I were incredibly blessed to welcome our sweet little aforementioned nugget into the world. Incase it’s unclear, I mean we had a baby. His name is Levi and he is truly my heart and soul. 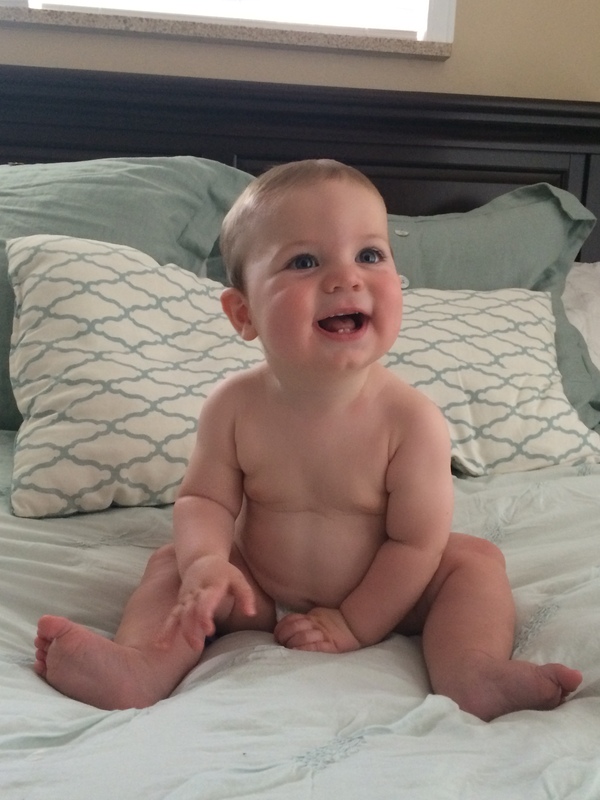 As I write this, he is 8 months old. And napping. There aren’t enough cliches in the world to describe the awesomeness of being a parent! If only someone had warned me he would be this cute. Little munchkin just chunking along. I promise there’s a diaper in there somewhere. 4) Our little tribe of 3 is somewhat geographically nimble. Boy Sam kicks a soccer ball around for a living (I kid you not), so we tend to relocate every few years at the mercy of Major League Soccer. Right now he’s playing for the Colorado Rapids, so we’re posted up in Denver. Prior to our arrival here, we spent 5 years in San Francisco cheering for the San Jose Earthquakes. Before that, we lived in Toronto, which is where he was drafted coming out of college. Over the years, we’ve learned to embrace the unpredictability of this lifestyle — and, as a result, some of our most memorable life adventures have unfolded! 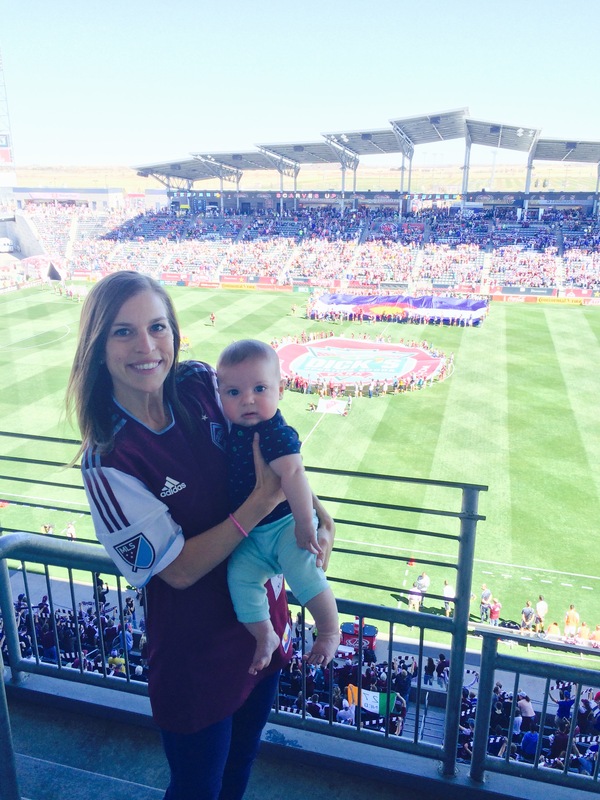 Levi’s first Rapids game. Strike a pose. 5) As previously referenced, I’ve had some ambitions-beyond-tech on the slow-cooker for quite awhile now. Spoiler alert: I want to write! And not just in the blog sense (although I do hope this blog will be kind of awesome one day; as long as the Malbec keeps flowing, I think I have a shot). But I digress. In addition to rocking the blogosphere, what I’d really like to do is publish books for kiddos. Until very recently, I’ve kept this pipedream firmly in the land-of-the-hobby; but over the past few months, I’ve felt increasingly called to pursue it more seriously. I don’t claim to have a clue as to how exactly that will unfold — especially whilst balancing my roles as mom, wife, co-worker, badass blogger, etc — but I do know that life is way too short to sit around wondering. Gotta get on the stick ladies and gents. 6) Finally, let’s get deep for a hot minute. I’m a firm believer that life is comprised of a whole bunch of seasons. Priorities shift, circumstances change, opportunities arise (and dissipate), and personalities come-and-go. Sometimes these changes are gradual, sometimes they’re sudden; sometimes they’re clearly for the absolute best and sometimes they’re really f-ing confusing. But every time the season shifts, we have the choice to let it hit us like a ton of bricks — or to take a decidedly active role and consciously shift with it. I believe we’re at our best when we’re in the latter camp. Chronicle my journey through my newest season of life — learning to manage mommyhood and wifedom, exploring our new home in Denver, chasing literary dreams, and generally becoming more intentional about defining the role of work in my life. Think deeply about listening to my inner voice, re-stacking the cards where needed, and taking ownership of where my life is headed. And then, share my worries, thoughts, questions (and perhaps a bit of wisdom) with all of you along the way. Create a safe space to laugh-out-loud, ask the tough questions, and get inspired by other badass mamas who are navigating similar season shifts. I am certain the ‘right path’ looks different for each and every one of us, but I know I can’t be the only one grappling with the urge to make some post-partum life changes up in hurr. Holla if ya hear me! If any of the above sounds like the cat’s meow and/or horses’ pajamas to you, please consider sharing this blog and following along yourself! Methinks we will be better together. This is an AMAZING first post Sam! Love it!!! You are so right about taking a proactive role as the seasons change in your life. Looking forward to seeing more from you. Miss you. Nice job lil sis! You are on your way and I’ve got your back! Keep writing! Can’t wait to keep tabs on you in this process. Sending you love from Cali! I can’t wait to see whats next!!! Love your writing style. I love it Sammy girl! Can’t wait to keep reading your blog posts! You definitely have a talent for writing! well- mom is on board too- so the parenting gig never ends- my kids are the highlight of my life and it just keeps happening – so fun to see them all as parents!! So looking forward to the next installment!